Leadership Texarkana is committed to ENGAGING, EQUIPPING and inspiring leaders throughout Texarkana USA in WORKING TOGETHER with common focus for community excellence, pride and progress. We believe our community's success rises or falls in direct relation to our community's commitment to great leadership throughout, in having citizens at all levels and in all sectors who are willing and able to step up as effective leaders in working together for Texarkana's best future. We see a regional community that is not only One of a Kind, but also Second to None... We believe our success is possible because we are a community full of leaders taking an active role in creating our best future. Every individual can make a difference. Subscribe to the WeeklyLIfT! Learn more about What’s to Love in Texarkana USA and around. Sign up to receive the WeeklyLIfT... It's FREE and filled with good news and great ideas for everyone: A T-Town Top Ten things to do each week, including 2 T-Town favorite foods from local foodies, plus features, fascinating facts and MORE. 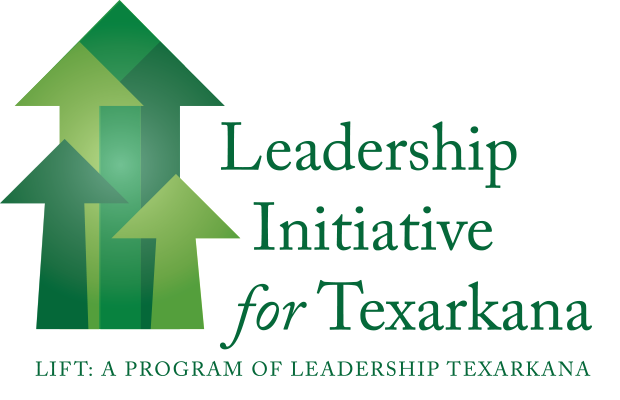 Subscribe here... and share it friends, From Leadership Texarkana because the more we all know, the more we care! The Texarkana community has always cared about excellence, but too often sacrifices that outcome by not coordinating efforts for moving ahead. LIFT challenges leaders throughout our community to WORK TOGETHER to benefit our businesses and families, our institutions and governing bodies, and all throughout our region.